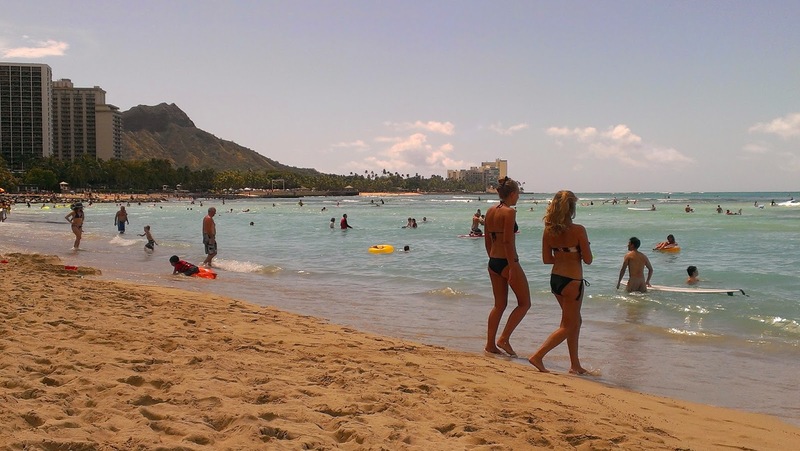 Although visitor arrivals in August declined slightly and spending was flat against the same month last year, year-to-date results for Hawaii's visitor industry continue to surpass last year's records. Star-Advertiser. Twenty-one state employees have agreed to pay a combined $16,500 in fines for accepting free rounds of golf from private contractors, consultants and vendors, according to a settlement with the Hawaii State Ethics Commission. The resolution issued Monday by the commission does not name any of the state employees, instead only identifying them by department and position. Civil Beat. A tiny wasp that attacks harmful Mediterranean fruit flies could be released in Hawaii. The University of Hawaii has applied to a state agency for permission to release wasps to attack the pest also known as "medflies" that cause millions of dollars in damage to crops. Associated Press. National Dems Play the Democrat Card for David Ige. The Democratic Governors Association TV spot counters a previous Republican Governors Association spot on behalf of James Duke Aiona. Civil Beat. A federal judge has ruled that some 1,800 special-education students who did not earn a high school diploma before they aged out of Hawaii's public school system at 20 years old are entitled to free educational services to make up for the two years they were denied schooling as allowed under U.S. law. Star-Advertiser. More than 1,400 former special needs students are being sought out by the Department of Education. KITV4. Hawaii is the only state that isn’t broken up by multiple school districts. That means Hawaii — whose population of roughly 1.4 million people makes it the 11th smallest state — actually encompasses one of the largest school districts in the country. Civil Beat. Opinion: Hawaii’s candidates for governor and the 1st Congressional District may be too squeaky clean and Boy Scout-ish for any dirt to emerge about them in the upcoming election. Civil Beat. State roundup for Sept. 30. Associated Press. Key votes on the city rail transit project and other issues might be invalidated because Honolulu City Council members failed to disclose conflicts of interest after being wined and dined by lobbyists. Hawaii News Now. State Rep. Romy Cachola says former colleagues on the Honolulu City Council accepted the same meals that Ethics Commission staff accuse him of taking illegally. And if that's the case, Cachola says, their actions collectively could call into question the legality of some crucial decisions the Council has made, including ones that cleared the way for the city's $5.26 billion rail project. Star-Advertiser. Just days after word emerged that state Rep. Romy Cachola had agreed to pay a $50,000 fine over dozens of alleged ethics violations relating to gifts and transportation expenses when he was on the Honolulu City Council, he took aim at former colleagues, arguing that they engaged in similar behavior. Civil Beat. Ethics violations cast doubt over City Council’s integrity. After an investigation into alleged ethics violations, State Rep. and former City Councilmember Romy Cachola has been ordered to pay a $50,000 fine. Hawaii Independent. City Ethics Commission widens illegal gift probe. Hawaii News Now. Former Honolulu City Council member Romy Cachola is paying a big fine over alleged ethics violations. Now, the Honolulu Ethics Commission is investigating several other current and former city council members after Cachola said he’s not the only one who should be in the hot seat. KHON2. About two dozen city ground maintenance workers are expected to attend Tuesday's initial training session on how to spot and eradicate invasive fire ants and coconut rhinoceros beetles. Star-Advertiser. Food safety placards are putting the pressure on Hawaii restaurant owners. Hawaii News Now. The state Department of Health has fined the owners of Iyo Udon restaurant at Ala Moana Center $11,000 for intentionally removing a yellow "conditional pass" placard and for food safety violations during a health inspection. Star-Advertiser. The leading edge of the Puna lava flow has not advanced since Sunday morning, but the northern edge of the flow front is active and the breakout upslope has progressed forward another 100 yards -- according to a flyover by Hawai‘i County Civil Defense officials Monday morning. Hawaii News Now. Hawaii Island Civil Defense officials long ago gave up on the idea of trying to halt a river of 2,100-degree molten lava heading along a path of destruction toward Pahoa. But they're certainly listening to ideas coming out of the lower Puna district about how to get both people and supplies in and out if 8,500 residents get trapped behind the lava spewing from Kilauea Volcano. Star-Advertiser. Kohala Councilwoman Margaret Wille thinks she may have found the way to eliminate fraudulent use of the homeowner property tax exemption. Wille, who has been serving on the county’s Real Property Tax Task Force, is proposing that the credit only be available for people who file a Hawaii state income tax return listing themselves as full-year residents of the island. West Hawaii Today. The Village Green Society and Hawaii’s Volcano Circus will be fined $53,743 for building illegal structures on state land and removing protected trees. The state Board of Land and Natural Resources approved the fines Friday after an investigation found several structures on state land adjacent to VGS’ Bellyacres community in Kalapana Seaview Estates. Tribune-Herald. Kale Gumapac, who has challenged the legitimacy of land titles in the state, plans to make his case for Hawaiian sovereignty at a court hearing in November. Tribune-Herald. Despite Tropical Storm Iselle and the current threat of the June 27 lava flow, Hawaii Island is expected to continue its recovery from the Great Recession in the coming year, according to economist Dr. Jack Suyderhoud. Tribune-Herald. A bill to create agricultural conservation lots in Maui County will be heard Tuesday afternoon by the Maui County Council's Economic Development, Energy, Agriculture and Recreation Committee. Maui News. A U.S. Census report last week put Maui County’s estimated population at 160,195 for 2013, up 3 percent from 2010, and offered a socio-economic view of Maui County residents. Associated Press. Maui experienced the largest growth in visitor spending for first eight months of 2014, reaching $2.8 billion, according to new data released by the Hawaiʻi Tourism Authority. Maui Now. Cynthia Reeves began her new job as Maui County administrator for the University of Hawaii-Manoa's College of Tropical Agriculture and Human Resources last week, UH announced Friday. Maui News. The outbreak of black band coral disease on Kauai’s North Shore and a controversial biologist documenting it will be subjects of a documentary style reality TV series. Garden Island. Hawaii-based Manu Kai LLC has been awarded a $74.3 million contract under a previously awarded contract to provide range operations support and base operations support at the Pacific Missile Range Facility on Kauai for another year. Pacific Business News. The Kauai Board of Realtors and the Hawaii Association of Realtors are opposing revisions to wastewater regulations being proposed by the Department of Health. A public meeting on cesspool, septic system and other wastewater related regulations is scheduled at 10 a.m. Thursday at the Kauai District Health Office. Garden Island. Facebook founder and CEO Mark Zuckerberg is the likely buyer of a 357-acre beachfront estate on the Hawaiian Island of Kauai’s North Shore, according to a source close to the situation. Pacific Business News. Chicken causes major power outage. Garden Island.